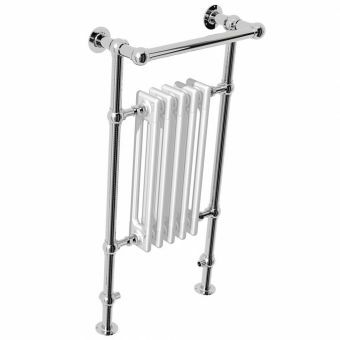 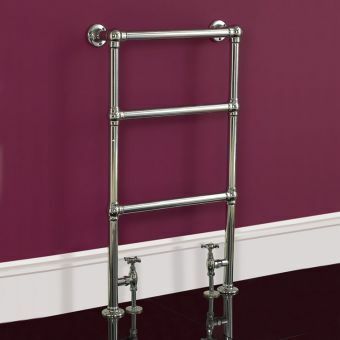 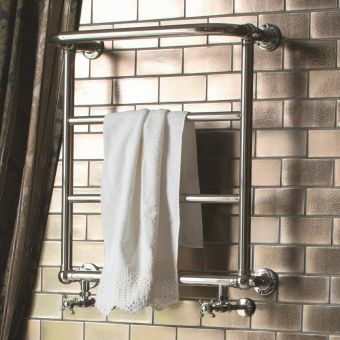 Add a touch of luxury to your bathroom with this classic radiator/towel heater from Burlington. 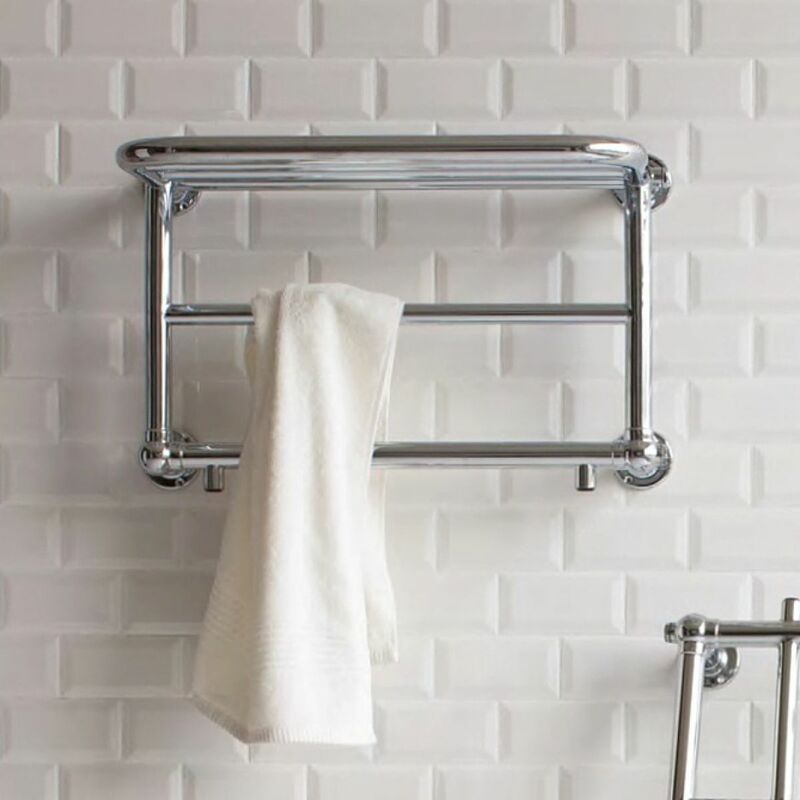 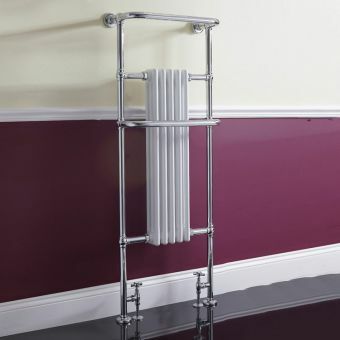 The Strand Bathroom Towel Radiator with Shelf is sturdily built and attractively finished in gleaming chrome with a functional design that offers greater practical use and visual charm than any conventional radiator. 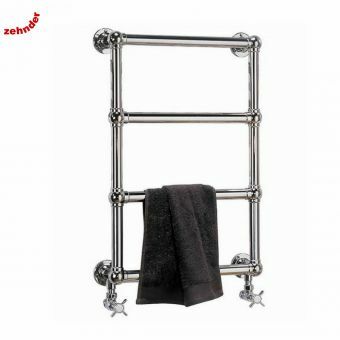 Measuring 406mm x 404mm, with a length of 642 mm it is also a neat space-saver, as the right-angled shelf offers space to dry out and warm several towels at once, as well as ensuring your bathroom is heated by the multiple heating pipes. 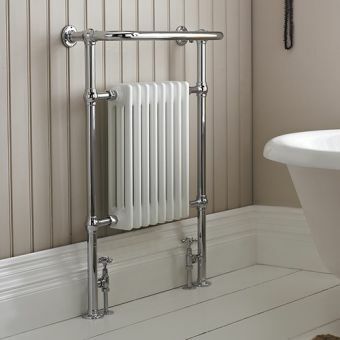 And its open design means that it is no dust trap, unlike a conventional wall-mounted radiator. 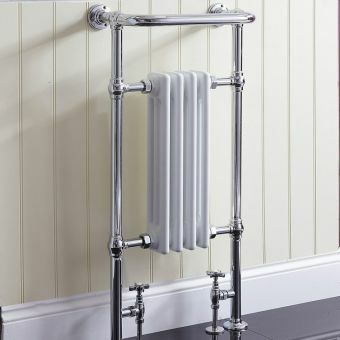 Please note that this radiator must be used in a system not exceeding 10 bar of pressure, and should only be filled with water containing rust inhibitor. 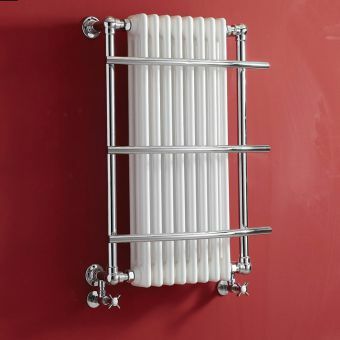 Price excludes angled vintage radiator valves as shown in picture.